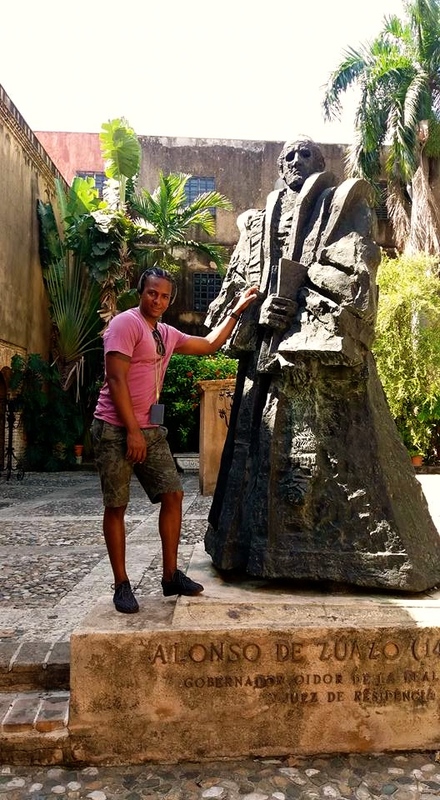 Santo Domingo is the capital city of the Dominican Republic and there is quite a bit of history to be found in this city. 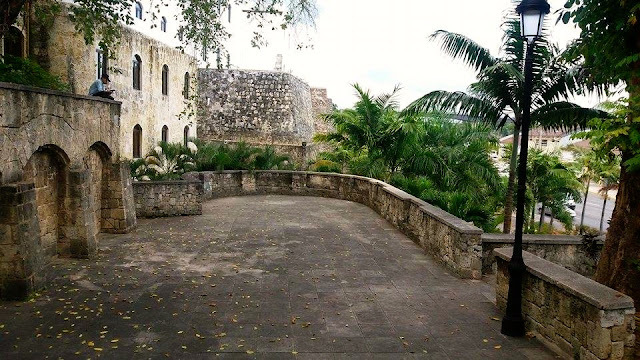 It was founded by Christopher Columbus' brother and was one of the very first permanent european settlements in the Americas. 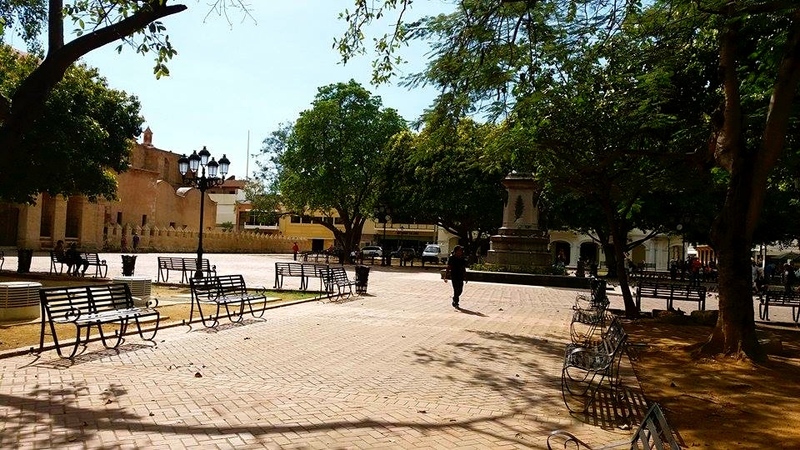 From sources I got online, the first hospitals, cathedrals and universities in the Americas were constructed in this city. There is so much more to the history of Santo Domingo but I am feeling a bit lazy so I will just get right into the trip that my husband and I made to the city. This is a courtyard in one of the museums we visited, it was such a pretty and chill place to relax. Pictures don't even do it justice, there were actually peacocks strutting around which added to the ambience. Mamajuana (pronounced Mama-Wanna) is officially one of my favorite drinks! 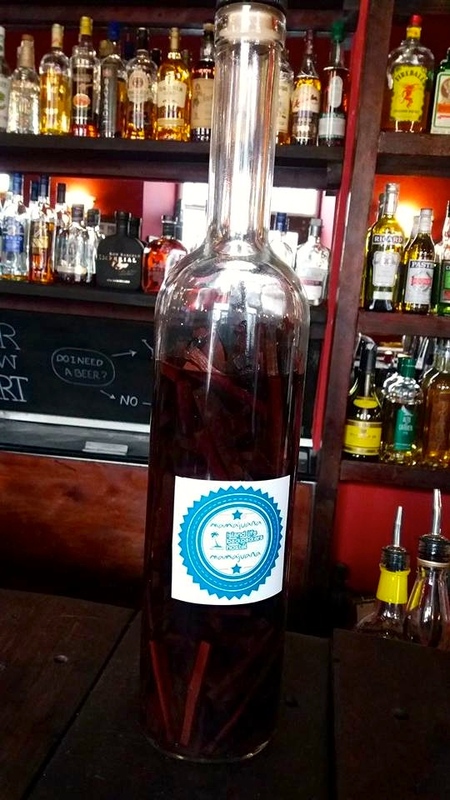 Its basically rum mixed with honey and the little twigs you see in the bottle, its really sweet and you can easily forget its alcoholic. Let's just say I over indulged and didn't realize it till I stood up! yeah.......good times. For the record I didn't get drunk, I just got tipsy which is usually the point at which I stop drinking. Apparently this drink is purported to be an aphrodisiac as well, hmm?! I don't know about that but I can definitely say its worth trying it out. 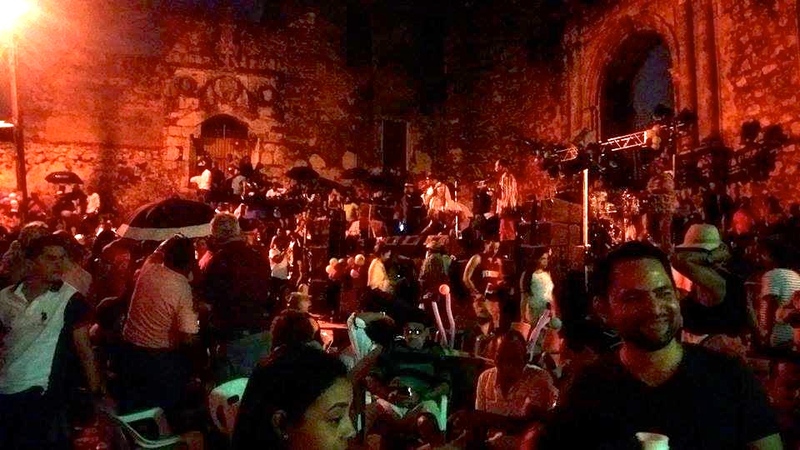 Turns out every Sunday evening between 6 pm and 10 pm there is a free salsa concert at one of the historical ruins in the colonial zone. It was loads of fun and I am glad we found out about this little treasure. 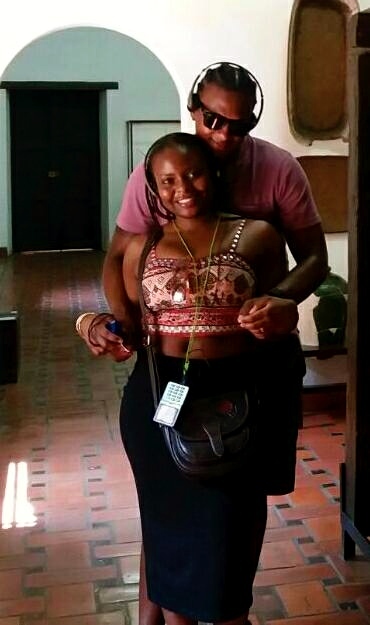 That's it folks, even though our stay in Santo Domingo was short we did have some very memorable moments and I am glad we got to check out the city. I ate and drank way too much but hey! sometimes you have to indulge a little. 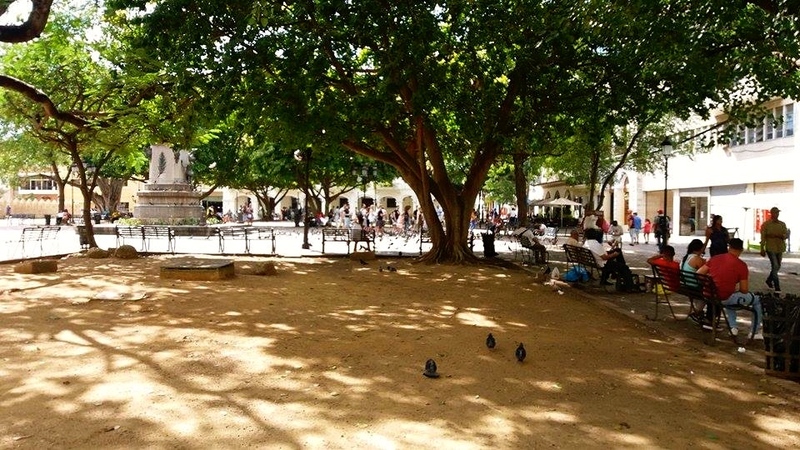 Santo Domingo has a reputation as not being safe so if you want to wander around its advised to stick around the touristy areas. My husband and I wandered to the outskirts of the colonial zone and the vibe we got was a bit scary. The stares we were getting from some folks was unnerving and we were both tense coz it felt like someone would jump us at any moment. Usually when I am walking with my husband I feel really safe about my surroundings but in this situation it was just very different and not in a good way. We got out of that area fast! My only regret about my visit to Santo Domingo is that we didn't get to visit the botanical gardens which I heard is very pretty and Los Tres Ojos national park. Ooh! well, maybe next time. To be honest with you my visit to the capital city was underwhelming, granted I did have fun because I had company but the city just didn't really do it for me. I was thinking maybe its one of those places that you would enjoy more if you knew the locals and got to see other aspects of the city that you wouldn't otherwise experience on your own. The best example I can think of is Cali, Colombia. Had I not known some locals in Cali who made my stay truly memorable, I probably wouldn't have enjoyed the city as much. make sense? I have mentioned before that Dominicans speak really fast! 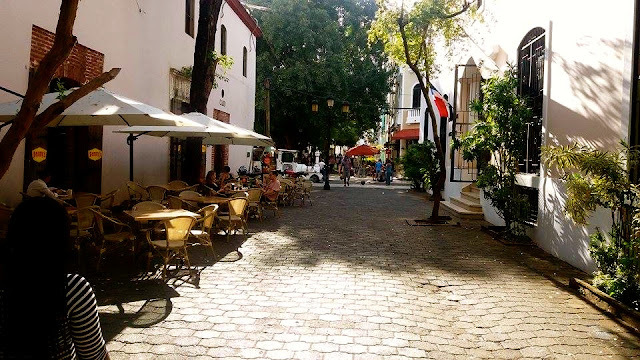 so when they say La Capital (the capital) when referring to Santo Domingo it ends up sounding like La Capita. My husband is a very chill person and sometimes he will go through interesting experiences that he will not mention because he doesn't think its a big deal but then months later out of the blue he will recount the experience and I will be left with a surprised look on my face, thinking "Wait! what?! where was I when this was happening and how come you never told me?" he will just shrug his shoulder and say, "I didn't think it was a big deal"
Him: Did I ever tell you about that one time I met the governor of Cali Colombia and we had a conversation? Me: Wait! what?! when? and what did you talk about? Him: Ooh! you remember that one time I was in Cali? there was some campaign going on and one evening while at one of the local parks the governor just so happened to be there and he approached me to find out if I was going to vote. We ended up having a brief conversation and he shook my hand then some people took photos. Me: Wow! really? how come you never mentioned it? Him: It wasn't a big deal. PS: When he was in Cali we had talked over the phone every single day and this just never came up even though he would recount the most mundane experiences of his day. 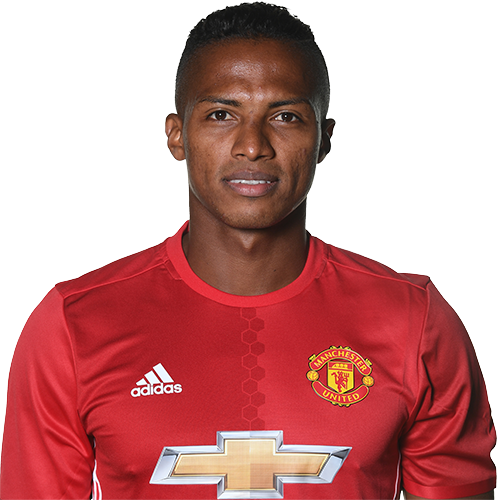 Him: Did I tell you about that time in Ecuador when I was mistaken for this famous Ecuadorian soccer player? Me: What?! which football player? Him: Yeah, there was a big soccer match and journalists were even walking around the streets interviewing people to get their opinion on the game. I was trying to pass through the crowd and the journalists rushed to me with their cameras and microphones. Me: What?! then what happened?! Him: Turns out they thought I was one of the players from the Ecuadorian team and they wanted to interview me. Him: When they realized I was not who they thought I was they gave me a soccer jersey and a cap to wear and fed me some lines to go over so they could interview me briefly like I was the actual football player. Me: Are you serious? what did you say and was this on TV? Me: How come you never told me?! See what I mean? Ooh! 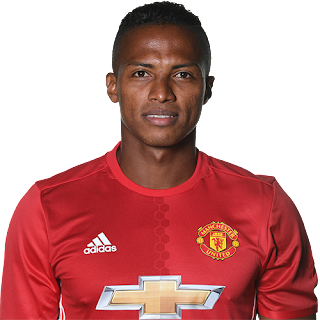 by the way, the soccer player is called Antonio Valencia and from his picture below I see no resemblance whatsoever.